This important re-evaluation of the Dutch- born painter Lawrence Alma-Tadema traces his personal and artistic journey towards international fame and success in London and investigates how this exceptionally creative artist used his own houses and studios as laboratories to produce vivid paintings of life in ancient Greece, Rome, and Egypt. Lawrence Alma-Tadema s paintings were immensely popular among his contemporaries, and have since enchanted a wide audience through the medium of cinema. Anyone who has ever enjoyed the great epic films of antiquity from Italian silent classics and Cecil B. DeMille to Ridley Scott s Gladiator will instantly recognize their origins in sets and costumes Alma- Tadema invented. Accompanied by glowing reproductions of the artist s rich and detailed works, this book boldly re-assesses Alma-Tadema s art through the idea of home: from his admiration for the interiors depicted in early Dutch paintings through his fascination with Pompeian ruins, to his creation of large studio houses that were artworks in their own right. Building upon Alma-Tadema s renown as the archaeologist of artists, the new scholarship in this impressive volume shows how the spaces he created and inhabited with his talented artist-wife Laura and their two daughters reflected an aesthetic vision that has thrilled viewers and other artists for more than a century. 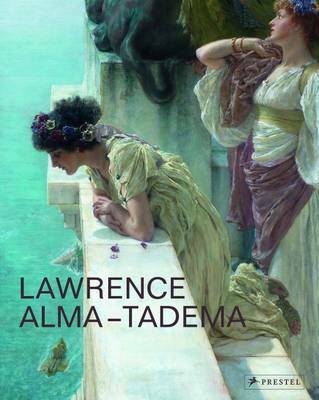 Appealing to general and scholarly audiences alike, this book underscores Alma-Tadema s reputation as one of his era s greatest creative talents." "As well as providing a comprehensive overview of the painter's career, the volume includes a wealth of high-quality illustrations that bring out Alma-Tadema's subtle handling of color and texture"
"Replete throughout with wonderfully beautiful reproductions of his art, Lawrence Alma-Tadema: At Home in Antiquity is as comprehensive and informative as it is thoroughly 'reader friendly' in organization and presentation. A consistently compelling and insightful study from beginning to end, Lawrence Alma-Tadema: At Home in Antiquity is unique and very highly recommended."